Christian Media in Nigeria : CAN says Catholics are free to leave. CAN says Catholics are free to leave. 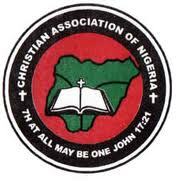 The Christian Association of Nigeria has reacted to the withdrawal of the Catholic Church in Nigeria to pull out of the association, saying they are free to leave. Speaking on the Catholics’ withdrawal Wednesday, spokesperson for the 19 Northern chapters of CAN, Sunny Oibe, told journalists in Abuja the Catholics were free to go away, the Punch newspaper is reporting this morning. He also accused the Christian denomination of arrogance, saying they were merely angry because the presidency of the association had moved to another bloc of the group. Their exit will not affect the association in any way, the CAN spokesperson said. Mr. Oibe alleged that Catholics had been sulking since its candidate, John Onaiyekan, lost the presidency of the association to Ayo Oritsejafor. The President, Catholic Bishops’ Conference of Nigeria (CBNC), Ignatius Kaigama had written to CAN President, Ayo Oritsejafor, saying his group was suspending “participation in CAN meetings at the national level until such a time the leadership of CAN reverse back to the original vision, mission and objectives of CAN”. Expatiating further on its grouse with the Oritsejafor-led leadership of the association, the bishops lamented that CAN had been politicized and was no longer being used to promote peace and unity in the country. “CAN is being dragged into partisan politics thereby compromising the ability to play its true role as conscience of the nation and the voice of the voiceless,” the bishops said.